Many western companies have tried (or are trying) to expand their operations into the Asia-Pacific region. Some try the acquisition or investment approach, others prefer to attempt to partner with existing companies on the ground. But given the size of the region and its diverse communities and cultures, a single strategy around securing partnerships is readily or easily available. This post I interviewed executives in travel ecommerce field, but for sure the principles could be applied to any online business categories in Asia. Following the WebinTravel conference in October this year, I wanted to ask a number of companies in the region about their approaches to partnerships with western travel companies. 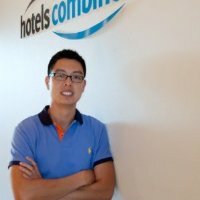 I managed to secure an interview with a senior executive, Head of Strategy Partnership Asia from a global online travel agency, who lives in Asia-Pacific. 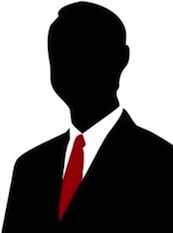 I will call him Mr X (he doesn’t want to reveal his identity, as he is not the person to speak to publicly for the company). Much appreciate for his valuable time to answer me! Actually I’m also one of his partners in Southeast Asia so we are insiders in this situation too. And I also then interviewed some executives from US, South Korea, Indonesia, Thailand and Vietnam to reflect some local views on partnerships. 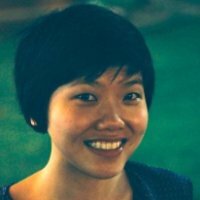 Having worked for an American-European company in Asia, what is one of the main differences between Westerners and Asians on the perception of partnerships? Mr X: It can be argued than most Asians prefer to get to know their business partners first, before they enter into a partnership, but in general, I do not find much of a difference between partnership perception between Westerners and Asians. 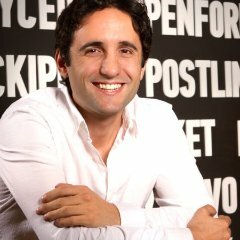 Diego Saez-Gil, vice president of mobile at StudentUniverse (and founder of WeHostels), based in New York: I would say that a partnership in the USA is an opportunity discovered between two companies or individuals to collaborate in a synergic way and ideally create a value that is higher than the sum of its parts. I think that the US is one of the countries most open to opportunities of partnerships. Although business in the US is highly competitive, everyone knows that the way to win is to join forces with allies. I think key factors are to always keep and show integrity, straightforwardness and a genuine interest in the benefit of the other party. In China, people always say the best way to expand a business is to find a local partner. Yahoo did it with Alibaba; Priceline invested in Ctrip; Expedia with eLong. What is your approach to find and get the partnership done in China? environment. In the not too distant past, the mantra of many foreign Internet companies was to bring their highly successful western business model and try to replicate the same success in China. eBay tried it with Ebay China. Google with Google China. TripAdvisor with DaoDao. eBay lost the ecommerce war with TaoBao. Google had to pulled out their operations in China. And DaoDao did not become the market leader for travel related information for Chinese travelers. All these companies failed to give full autonomy to their local entities resulting in poor product to market match. Giving local competitors a chance to build products that the Chinese market better appreciated and winning over the majority of the market share eventually. Luckily for me, I could match my company’s product with China’s outbound travelers and worked out several successful and meaningful partnerships. If no match could be found, I doubt my foreign based company was ready to make any changes to adapt to the market. India is fragmented with different religions, physical locations and segmentation of the social class. What lessons can companies learn from the Indian experience? Mr X: The most striking thing I discovered about India is the premium they places on relationships and connections. It can be argued that most Indians would rather make their travel arrangements via someone they know rather than enjoying the liberty of making their own reservations online. This is in stark contrast to the rest of Southeast Asia. The second thing is how price sensitive the market is. Although most Asian countries are by and large rather price sensitive, in India, I find that people make it a sport to get a deal all the time. You will often hear an Indian person boosting how cheap a deal they managed to get and it is almost shameful for an Indian person to pay more for anything. Third, I get the impression that an average Indian person has to manage more chaos in their lives and are experts at getting it under some order. An Indian partner once said to me that IST stands for India Standard Time and it also stands for India Stretchable Time. My Indian partners are usually late for con calls and appointments. And when I visit them at their offices, most of the time I was made to wait for them to finish their meetings before showing up surprised to see me. I often thought to myself that the reason why most Indian people make good programmers is because their environment requires them to keep looking for order in constant chaos. Lastly, it takes a lot of patience and, based on my personal experience, the average deal making cycle in India may take five times as long as in India than the rest of South east Asia. Koreans, to some, often appear aggressive yet are very open to partnerships. Are they the easiest partners to work with? What do they usually ask from you? Mr X: I do not have extensive experience in doing business in Korea yet my impression of the travel market in Korea is that it is mainly dominated by local players who are very protective of their own markets. Local travel businesses are willing to offer very steep discounts and operate under very low margins to maintain market share. It is a cut throat business environment to operate in. The only reason Korea travel businesses are partnering foreign players to to gain access to foreign inventory which they may not necessary have the resources or expertise to acquire on their own. So what are Korean think on their own views. Jason Jang CEO/Co-founder SaleTonight, mobile platform for last minute hotel deals and tickets, he shared: “In Korea, the meaning of partnership is trust. In order to build a strong partnership, we have few things to be sured; such as transparency and integrity. I’ve seen many of startup had failed their relationship with their investors and media partnership due to fearful competition so therefore no matter how difficult the situation of each stage of business we have to confront and be sured about our business idea, product, platform and people. Do not cheat any corporate information to anyone when we start building relationships. Southeast Asia is incredibly fragmented, with ten countries and many religions and languages. How do Indonesian, Thai and Vietnamese businesses think about partnerships and what is the most difficult part when working with them? Mr X: In general, I find that Indonesians are the most warm and friendly out of these three countries. A typical Indonesian also starts by having open and friendly conversations to build up rapport. 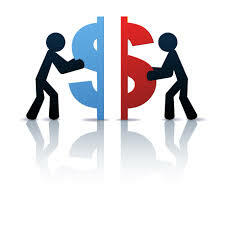 They are also more open to a give and take scenario, preferring to close a business deal that are mutually beneficial. I find that the Vietnamese people sharp, thorough and very hard working. Thai people usually have a hard time saying no and may appear more agreeable in business meetings than they actually are. In fact, all these three Asian countries people are guilty of being too agreeable, but you can usually tell their level of interest by their facial expressions and the cues they give, which most foreigners may be oblivious to. The most tell tale sign is whether they respond to your follow up emails. You will usually not get any reply if the deal is not going anywhere. Ms Hang Do, General Manager of iVivu, a top OTA in Vietnam: Partnership in Vietnam equals trusted relationship where both parties win, the definition I guess is very similar elsewhere. Without trust and win-win outcome, no partnership will sustain and thrive. MS Hang: It all comes down to people in the end, those that initiate the partnership play the most important role in making sure it happens. 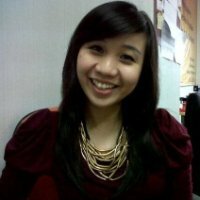 Beatrix Emmanuel, ex PR and partnership manager of Indonesian OTA, Tiket: In business, it will help to grow our business (for both sides) with efficient cost. The key factor to be considered is the objective of each company, so we can create win-win partnership or mutually benefit partnership. We can achieve the objective, so does our partner. In sales and marketing, it can be traffic, members, engagements, content, revenue, loyalty customer or anything else. Paul Riampanich, market manager of HotelsCombined in Thailand: When launching our affiliate program in Thailand, it was important for us to localise our offering and consider any cultural barriers, language differences and local regulations. Generally Asians people prefer a soft approach – secure a friendship before getting to the point. Does this still ring true or something that is evolving over time? Mr X: Surprisingly, this has never been a big issue for me. I think as globalization reaches all corners of the world, business meetings have become more and more westernized. I find that all the Asian potential partners I speak with are all able to go straight to the point during business meetings, even to the point of being blunt and combative! I discovered that it is advantageous to be perceived as being open and upfront. It is equally important to sell the product’s strong points and as well as giving enough attention to address the product’s weakness. This helps make business meetings more efficient. Are there any tactics when securing relationships in Asia-Pacific? Mr X: I do my partnership deals on the basis of providing value. Hence, I use a lot of numbers to convince potential partners. To speed up the whole process of getting deals live, I usually invite partners for dinners and drinks, building up relationships by getting to know them better. Beatrix Immanuel: In Indonesia, we can’t deny that a good relationship will increase trust. Sometimes, the result are not in line with our expectations, but they trust us and that we have good intentions of a partnership that we can do together. Beatrix emphasized on another factor: “Caring” , sometimes the result is not fits with the objective even the result can be very bad, it would be great if we sound to the partner before the end of the partnership period if we think that it does not work. Hang Do: The personal relationship is the most important factor for a sustainable partnership in Vietnam. Riampanich: In particular, we know that a good relationship and timely customer support are key factors in sustaining a positive and successful relationship with our partners. From the start we look for the best integration and customization options possible and ensure that they receive all of the support that they need to succeed. And you, what do you think about the key of partnership in your country? Note: many thanks Mr J co-founder of Tabluu.com, A review and social media marketing app, for his insights and reviewing the post.